There’s a reason that whiskey is called – the water of life. Champagne is for celebrations, while wine is the pinnacle of sophistication. 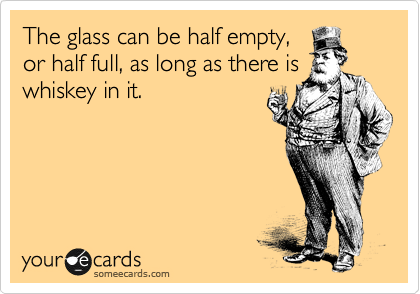 But when it comes to whiskey, the drink fits about right on any occasion. You can share it with friends and family, or you can make new friends over a fine pour at your local watering hole. All that’s completely okay, but if you really enjoy the drink, you must know the nuances of drinking whisky. There is no one right way to do so, but it’s important to get your basics right. The next time you have a glass of whiskey, resist the urge to immediately toss ice into it. This will not only give you a better idea of the whiskey’s flavour and aroma, but will also help you decide whether or not you really want to mix it with anything. Here’s a handy tip for you, try adding a few drops of water to release additional aromas and flavours. With the high alcohol content of approximately 40-43% ABV, a glass of straight whiskey can be a lot for the fainthearted. Another option is to drink it on the rocks, meaning over a few ice cubes. The ice chills the whiskey, but as it melts it also dilutes it. If you want the chilling effect without the dilution, you might consider adding chilled whiskey stones. Odorless and tasteless, so the only thing they add to your spirit is their cool factor. Can it really get any easier than a scotch and soda? The idea here is to water down a scotch without destroying the flavours of the whiskey. This is no less than a masterstroke as you make the drink last a little longer, go down a little smoother, and become a little more refreshing. You could also mix it up by adding Thums Up to the drink for a punchy taste. Sometimes, simple is best. Requiring nothing more than whiskey, ginger ale, and a lime for garnish, all you need to do is pour, stir, and sip. The summer is fast approaching and if you’re looking for the perfect cooler, there’s nothing better than a spiked Whiskey Lemonade! Not only is the lemonade sure to quench your thirst, but with a little whiskey kick to go with it, you get the buzz you need. If you simply don’t like the taste of whiskey by itself, or if you’re looking for a new way to enjoy whiskey, we urge you to try it in a classic cocktail. At the end of the day, or night *wink wink*, it’s important to experiment and find out what’s right for you. The last thing you need is someone telling you how to savour some fine and smooth whisky. A cocktail of hysterical ingredients trying to be funny, the UNSOBERED squad is on an unending mission to 'raid' every watering hole and restaurant in Mumbai, apart from trying to be interesting storytellers in their own peculiar ways. Whether or not they succeed is a mystery waiting to unfold. But what’s the rush when you’re only two pegs down?